Investigate Exterior Angle Inequality 1. Move the points A, B, and C around in the diagram below. Make sure to move A to the left of B 2. After you move the points around, look at the list of equations or inequalities listed below the diagram. 3. 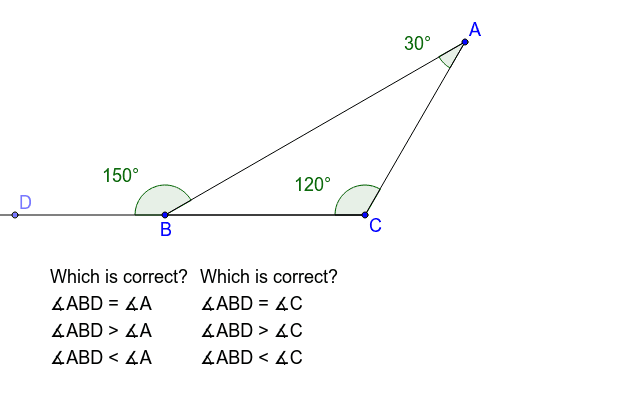 What do you think is always true about the exterior angle of a triangle?